Now, you can easily connect to a Gigabit network through the USB-C™ port on your laptop. 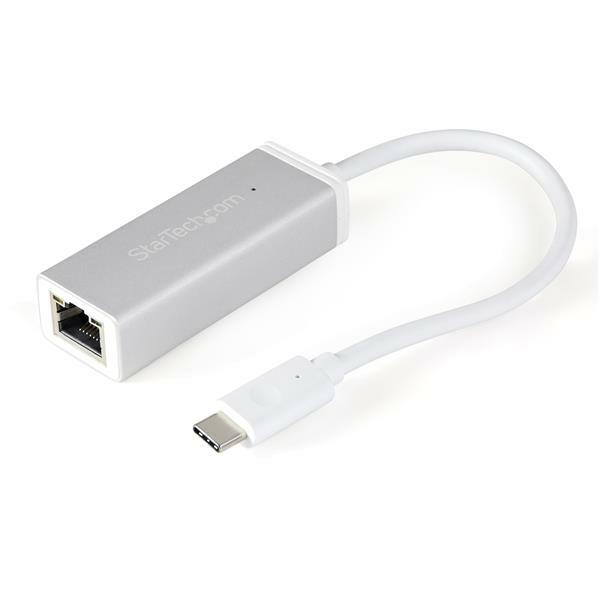 This Gigabit Ethernet (GbE) network adapter delivers reliable network connections - without even having to install drivers. Its sleek silver design looks great with your MacBook, and any laptop or Chromebook™ with a similar look. It's also compatible with Thunderbolt™ 3 ports. 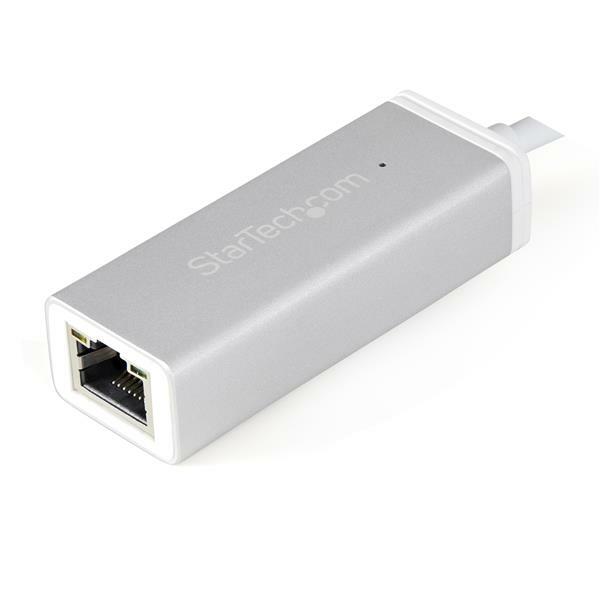 Engineered with a high-quality aluminum housing in a silver finish, the network adapter is the perfect companion for your MacBook, and any laptop or Chromebook™ with a similar color finish. 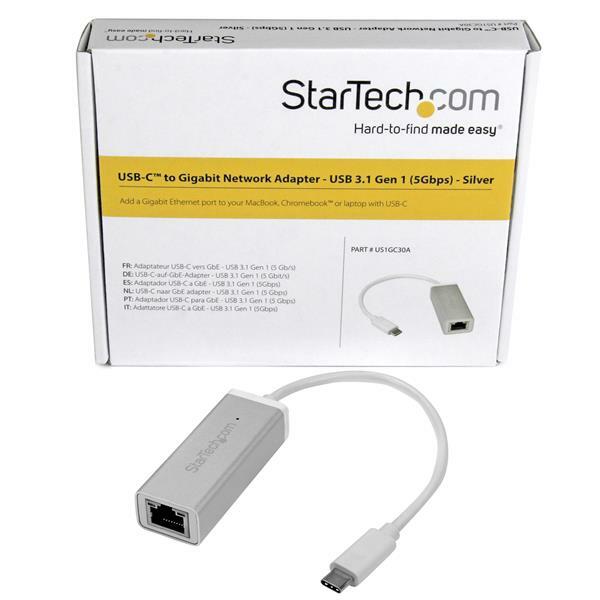 Compact and portable, this USB network adapter is the ideal laptop accessory. You don’t have to carry a power adapter with you to use it because it’s powered directly from the host USB port. Get up and running quickly. Simply plug the adapter into the USB-C port on your laptop and connect to your network. The adapter chipset provides native driver support in Chrome OS™, Mac OS 10.10, Windows® 8.1. 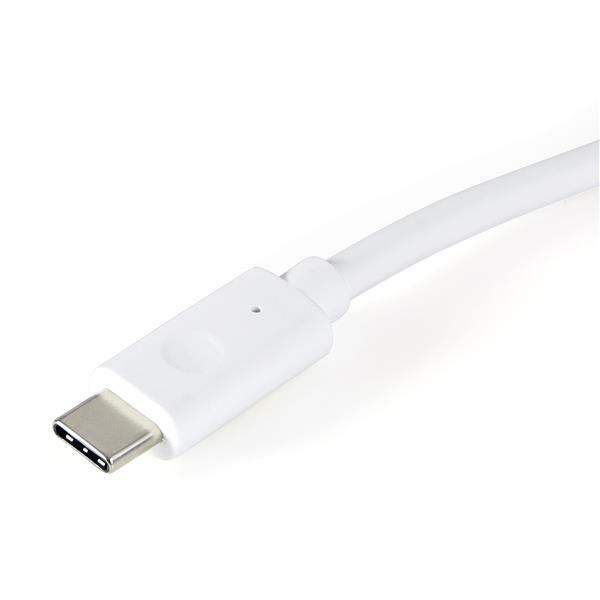 The USB Type-C™ network adapter supports full Gigabit bandwidth by harnessing the performance of USB 3.0, also known as USB 3.1 Gen 1 (5 Gbps). You can access very large files over the network at Gigabit speeds. The US1GC30A is backed by a StarTech.com 2-year warranty and free lifetime technical support.